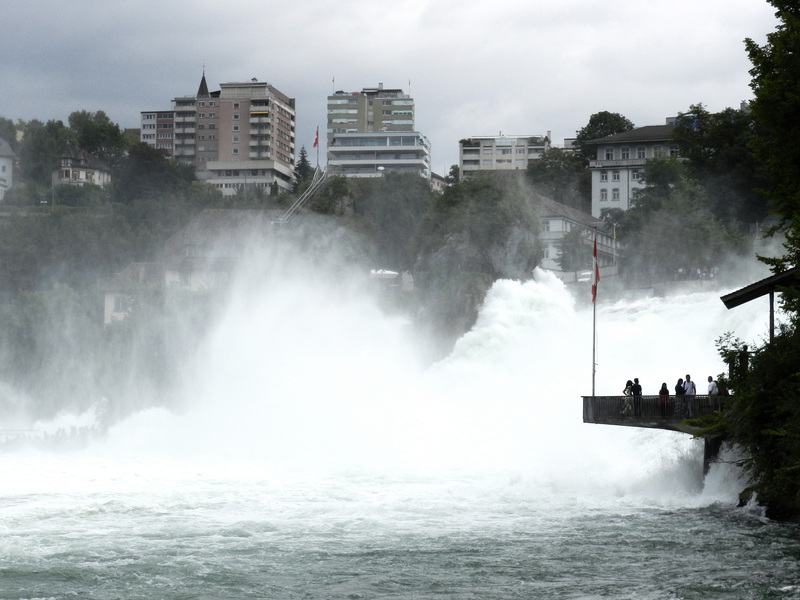 Zürich is such a beautiful city, I fell in love with it. 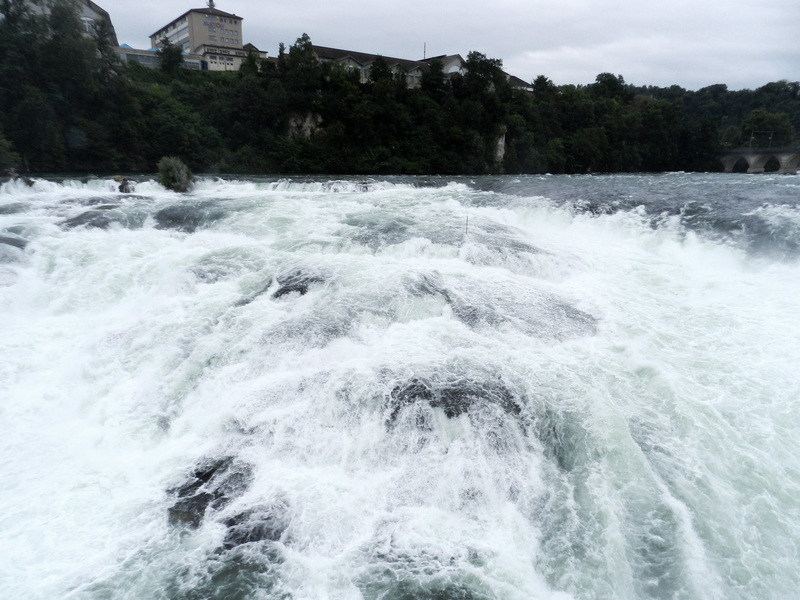 However, before going there, we were told that Rheinfall was very impressive. 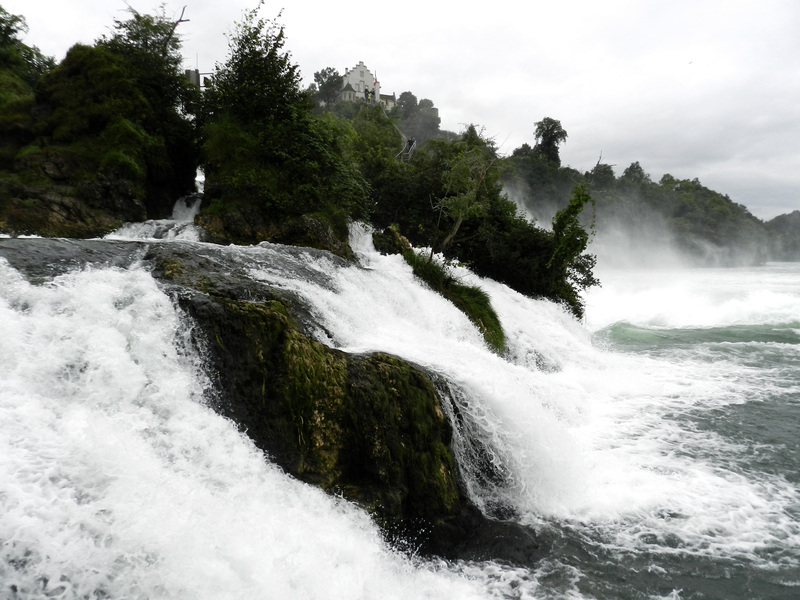 They are basically waterfalls near Schaffhausen, which is not too far away from Zürich. 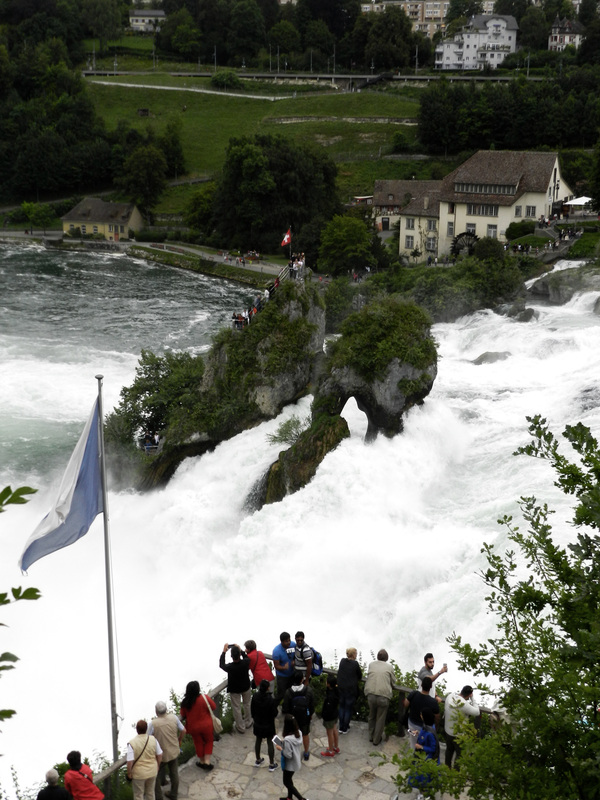 For this reason, we decided to visit it on our forth day in Switzerland. We woke up a bit early so that we could make the most out of our day. We weren’t sure if we would be able to enjoy the day because it was very cloudy. 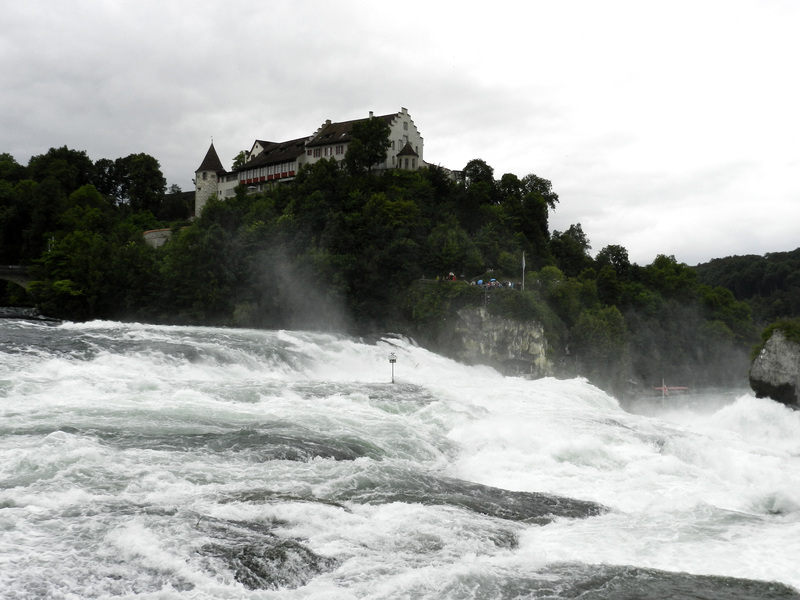 We got a train from Zürich HB to Schaffhausen and then we got another one from there to Schloss Laufen am Rheinfall. We arrived there and decided to visit the castle. 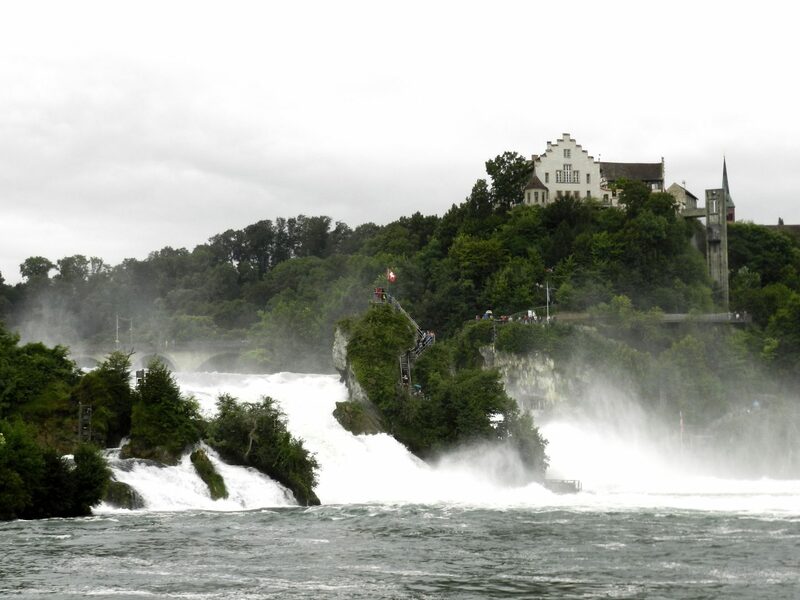 It is very nice, although it is basically a great place to have amazing views of the falls. 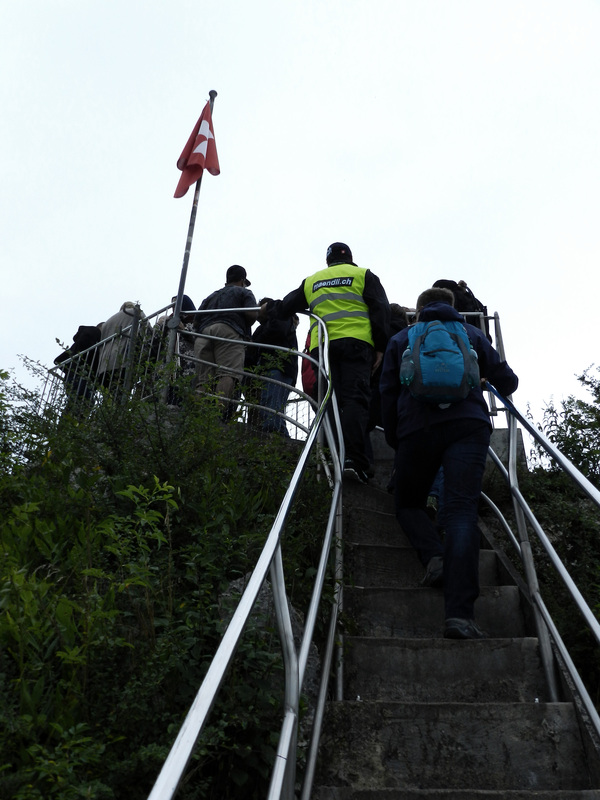 To be honest, it was quite exhausting, as there are so many stairs. We felt it the following day. However, it is totally worth the effort. Later on, we wanted to go to the other side of the river. 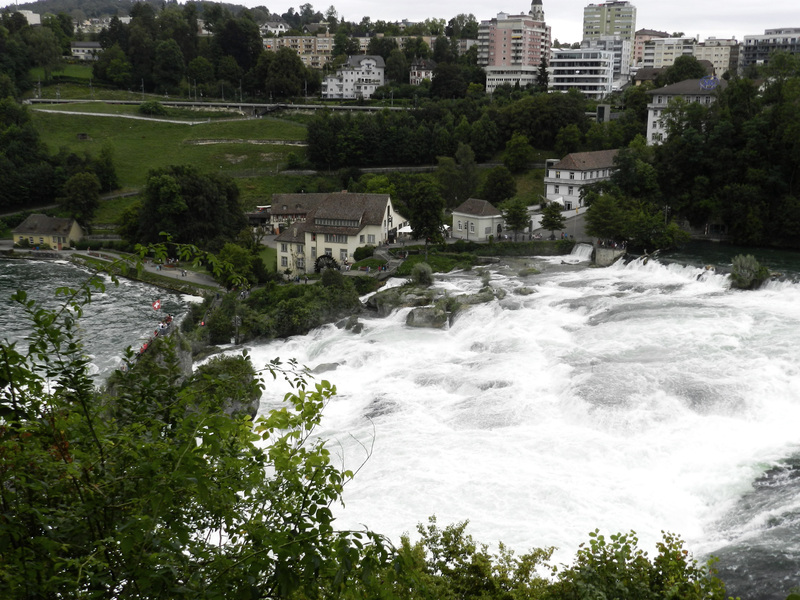 You can pay 2 CHF to cross the river by boat, but we wanted to walk a little bit so we crossed the bridge. There wasn’t much on the other side to be honest. The main attraction there are the falls, so that’s basically what you can find there. 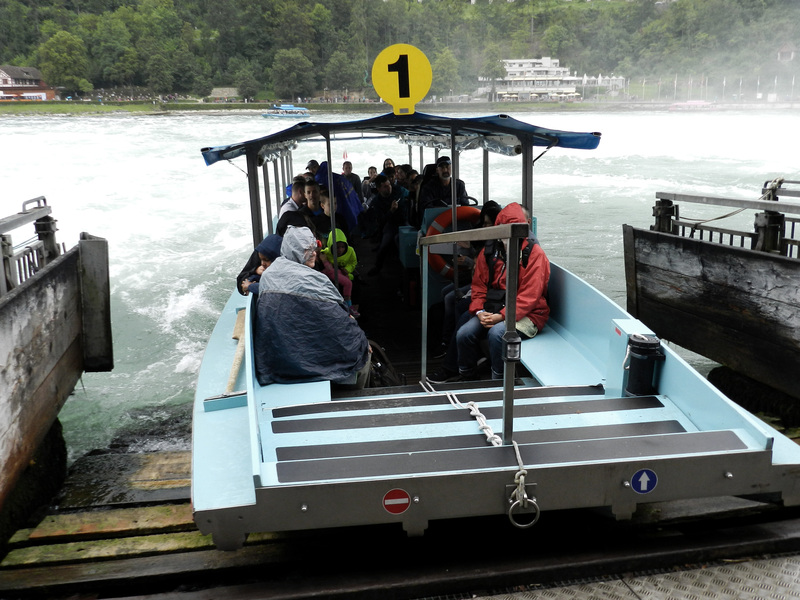 We took some photos and then my father and I decided to get a boat to the centre of the falls. My mother was a bit scared of it, so she decided to stay at the pier. 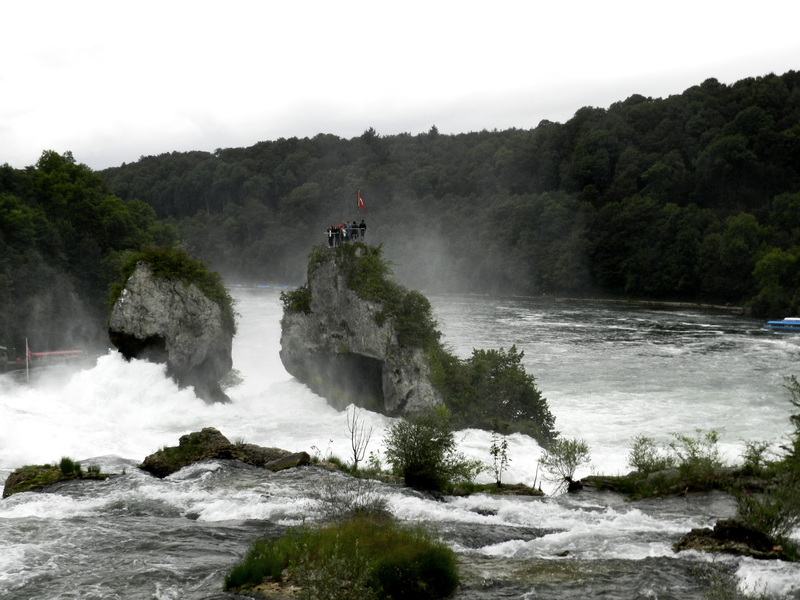 I am not sure, but I think we paid 10 CHF to get to the rock. It was probably one of the most amazing experiences I have lived, although it may be a bit scary at the beginning. 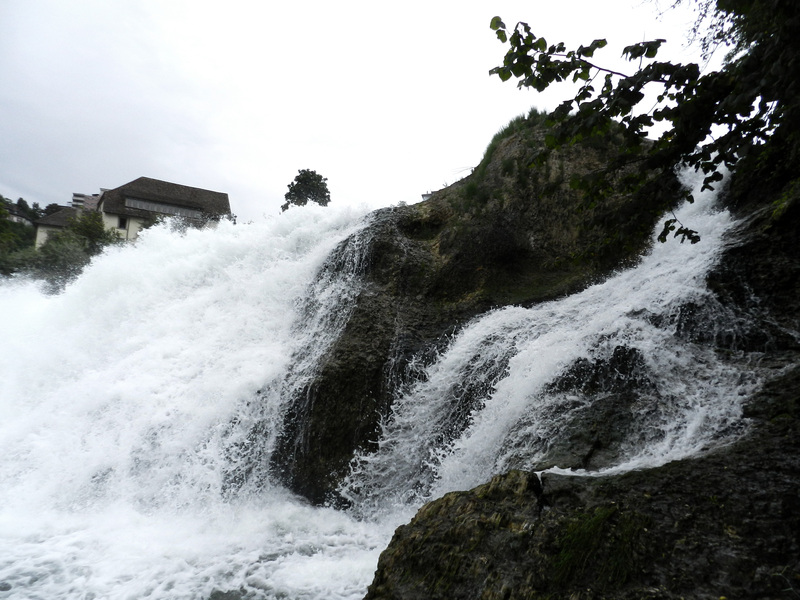 We should remember that these falls are the biggest ones in Europe, and their size is VERY impressive, especially when you are going towards them. At the top of the rock we took some photos and enjoyed the beauty of nature. If you feel anxious when there is a lot of people around you, you shouldn’t go up there. There isn’t much space available, and it is quite overcrowded. Then, we waited for the boat that was going to take us back to the pier. There is a restaurant at the pier and we were hungry, so we had lunch there. The food was quite good, although it wasn’t very sophisticated. 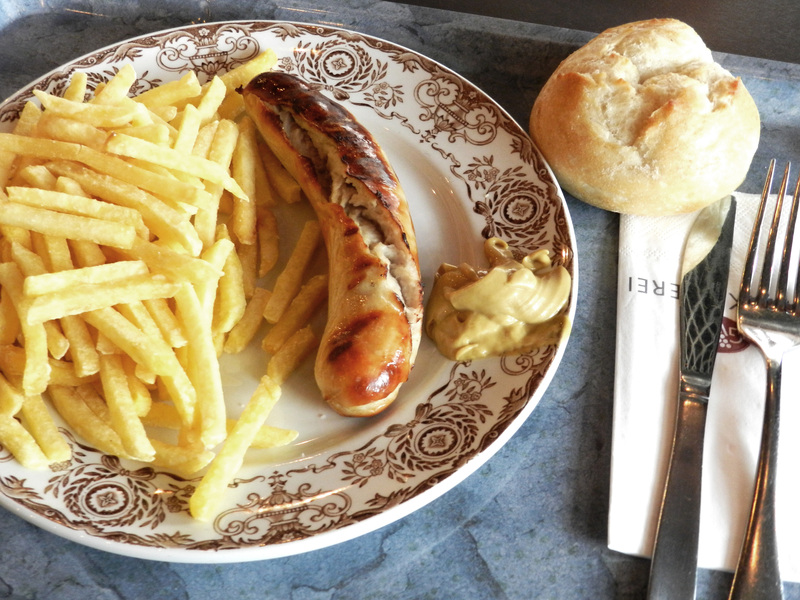 I went for a bratwurst with some chips, which I really enjoyed, probably because I was very hungry. 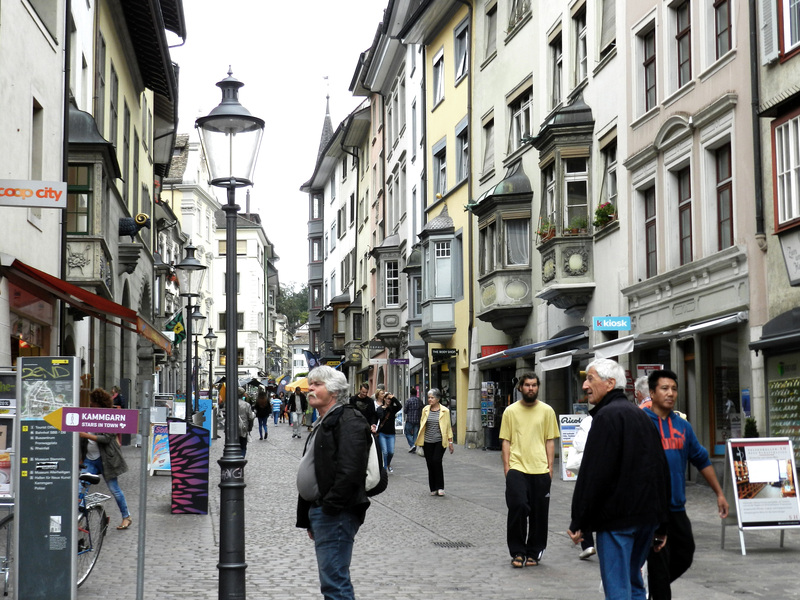 When we finished, we went back to Schaffhausen. The town was lovely, you should visit it someday. We had a little walk around and we discovered that there was some sort of festival, although we didn’t join them. We knew there was a castle there, so we wanted to visit it. 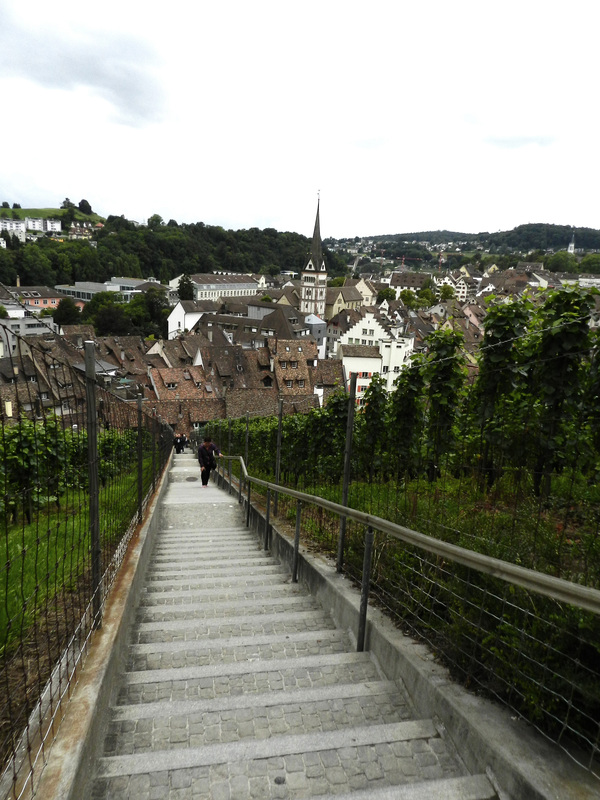 I can’t describe how going up the stairs to the castle felt after having been walking all day long. 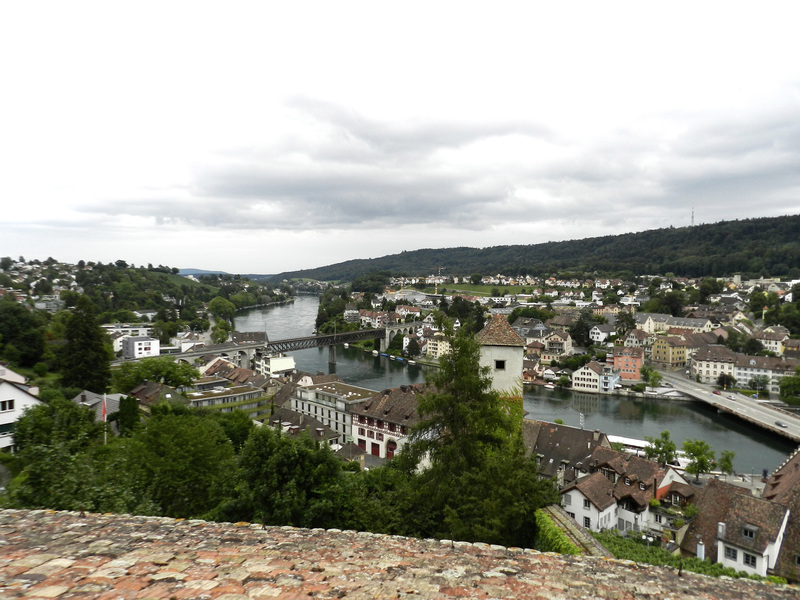 The castle itself isn’t as nice as we thought, but it had the most amazing views of Schaffhausen. After that visit, we got our train to Zürich HB. When we arrived, we had dinner and went back to the hotel. We decided to have a chilled night in our room. We needed energy for the next day, although it was a relaxing one, as I mentioned in my last post. 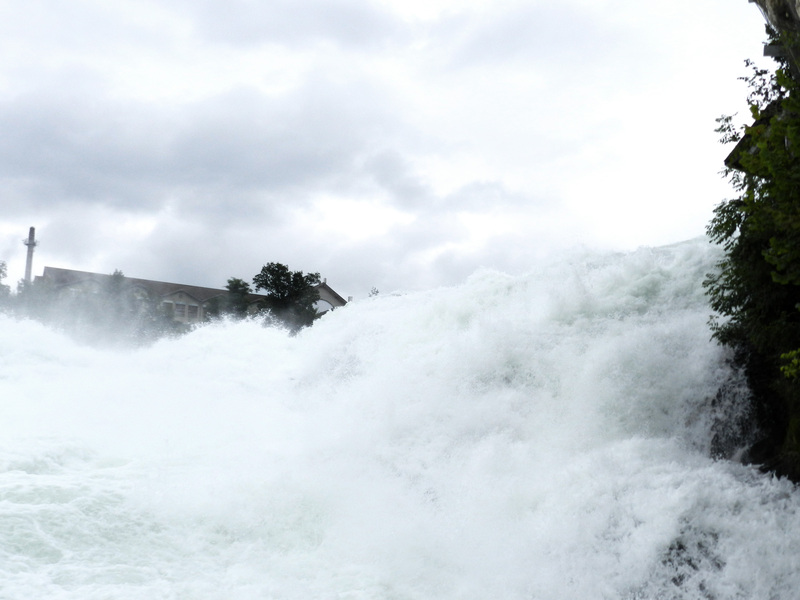 This is the end of what I did in Switzerland. I had an amazing time, this is why I would recommend this country to anyone. People there are very kind and calm – they never rush, at least from what I could see. You can also check the other two posts here and here, in case you haven’t already. Looks so lovely, I would love to visit here!!! Great pictures!! !